critical psychological conditions in high performance athletes (including top national teams) in Leningrad (now St.Petersburg) Physical Culture Institute in 1978. My Ph.D. was done at Leningrad State University in 1983. In 1983-1984 I attended and graduated the course in psychotherapy at the Leningrad State Medical Postgraduate Institute. This training was mainly in CBT. I also participated in a formal training program and received Certificate in Medical (Clinical) Psychology from the Bechterev Institute in I997. I have been practicing, teaching and conducting outcome research on psychotherapy approaches relatively close to Schema therapy since 1983. My training and practice followed a similar to ST path of attempting to integrate cognitive and experiential psychotherapy. In 1992 I began collaboration with Dr. Elena Romanova, psychotherapist with a Ph.D. in developmental psychology. In “Anima”, the first official psychological centre in S-Petersburg with the medical license in psychotherapy founded by Dr. Elena Romanova, we developed various training and treatment programs for patients with behavioral and relationships problems that integrated cognitive and experiential techniques and a kind of conceptualization that was consistent with developmental theories of attachment, early psychological traumas and object relationships. In 2007 together with Dr.Elena Romanova we started to practice Group Therapy for Couples. into Russian. Now I also head the Psychology Department at the St-Petersburg Polytechnic University and use CBT and ST concepts in teaching students within Bachelors’ and Masters’ programs preparing educational psychologists. In 2011- 2014 I served as Deputy Dean responsible for Humanitarian Science and Research at Polytechnic University. I have free access to an international scientific library, and scientific browsers as Scopus, WoS and PubMed. To ensure the continuation of the efforts of the previous Coordinators (Eshkol Rafaeli, Marleen Reijkeboer, Chris Lee) I see my role in providing communication environment for extensive exchange of scientific ideas and projects among the members and creation of the international research teams, assisting to members in getting ST onto Evidence-Based Practice registries, supporting creation of online repository of ST diagnostic instruments officially translated to different languages, providing wider exchange of PDF copies of the research articles related to ST especially for those countries where access to informational sources is limited. Related to the ISST conference I see my role in providing scientific part of the organization in close collaboration with other members of the ISST Board. I would support the creation of an independent Scientific Advisory Board (SAB) as it was discussed with Arnoud Arntz and members of the Board. This board should make recommendations to the Executive Board or the General Assembly. I would be pleased to serve as Science & Research Coordinator of the ISST Board and work with my colleagues for the further growth of prestige of Schema Therapy in scientific community. I am a member of ISST and have paid my 2016-2017 dues. 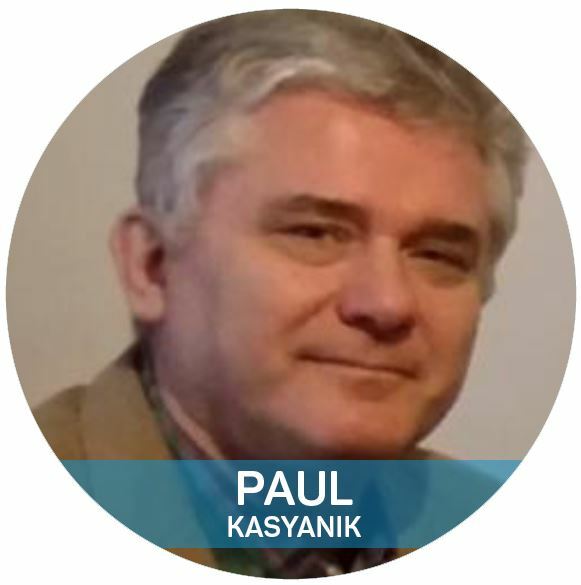 Paul Kasyanik, Ph.D.